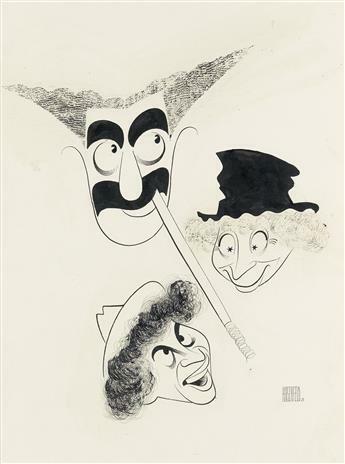 AL HIRSCHFELD. The Marx Brothers. 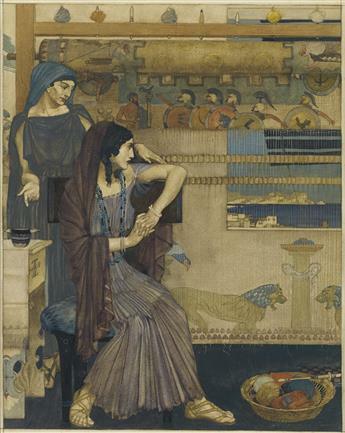 SIR WILLIAM RUSSELL FLINT. Then in amaze she went back to her chamber, for she laid up the wise saying of her son in her heart. 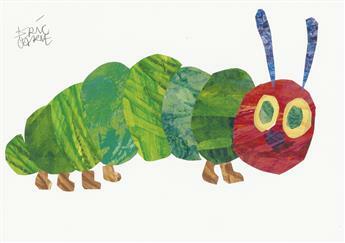 ERIC CARLE. The Very Hungry Caterpillar. H.A. REY. 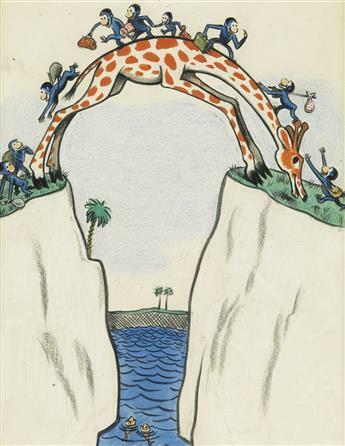 (HANS AUGUSTO REYERSBACH.) Do you want to get across? (THE NEW YORKER.) 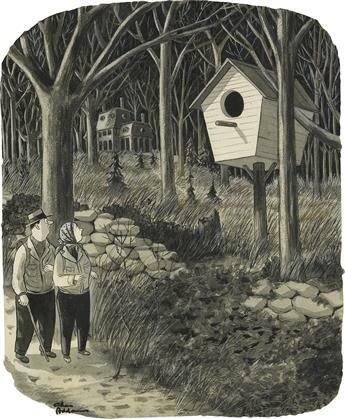 CHARLES ADDAMS. Couple passing a giant bird house. CHARLES M. SCHULZ. The Years are Going By Fast. CHARLES M. SCHULZ. Everyone Needs to Have Hope. CHARLES M. SCHULZ. Eventually, That Could Wear Out My Nose. CHARLES M. SCHULZ. Woodstock is Searching for His Identity. CHARLES M. SCHULZ. Neighborhood Dog of the Year.